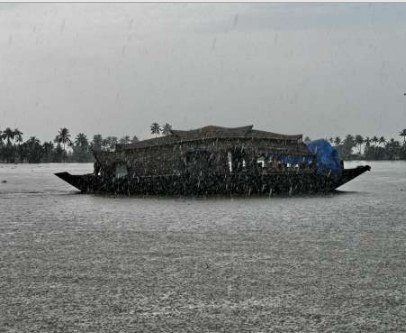 Best tourist destinations in Kerala during monsoon are given in this article. For those who are planning a monsoon holidays in Kerala, we have given various tourist attractions in Kerala during rainy season. The best places to visit during monsoon are Aleppy, Kumarakom, Kovalam and Munnar. Read more about these tourist attractions below. Kerala is known for its tourist destinations. Southernmost state of the country is one of the best place to explore during monsoon time. Kerala is in fact, is one of the states getting very heavy rain falls during monsoon. Some people may think it's not a nice idea to visit Kerala during Monsoon. But the truth is different; you will get a golden chance to feel the God's own country in a different style and feel. To enjoy the magic of monsoon-the sound of heavy rains, the stretching greenery, Onam etc, the only available season is monsoon. In fact Kerala is most beautiful during monsoon and there are many places that deserve a visit during this beautiful occasion. The number of tourist making their entry to Kerala during monsoon season is very less compared to pre and post monsoon. This is mainly because they feel it's uncomfortable. Of course it is uncomfortable, but a golden chance to see the God's own country in such a green lush and full of live. The best tourist destinations in Kerala during monsoon are given below. The Venice of Kerala is the best place to feel the rain in your heart and body. Alappuzha is considered as the capital of backwater tourism in Kerala. It is located 53 km from Kochi Kumarakom and Vembanad Lake makes this place a good place for the tourist. There are lots of things to do during a visit to Aleppy in monsoon season. Enjoy the fresh lake water food items including crab and other fishes. Don't miss the Karimeen curry. . A house boat cruise during monsoon is most unlikely to happen, as most of the operators are not willing to operate during this time. But if you get a chance to do so, it will be an awesome experience to enjoy the rain amidst the long stretching back waters. Kuttanad; the granary of Kerala, is also situated in Alappuzha district. Aleppy beach and museum are other attractions in the place. Kumarakom bird sanctuary won't have much to offer you during monsoon season. There are excellent Ayurvedic centers in Alappuzha to get herbal massage. It is one of the finest experiences you can do during monsoon time in Kerala. How to Reach Alappuzha: Aleppy is situated 65km away from the nearest airport; Cochin International airport. Trivandram airport is located 130 km away from the tourist hub. Bus services and taxi services are available from these places to Alappuzha. Boat services, railway station and other bus services also make this place an easy to reach tourist destination. 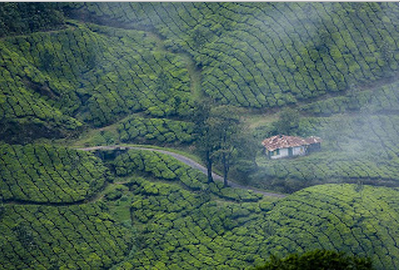 The Paradise of South is another good place to visit Kerala during monsoon. Kovalam has the safest beaches in Kerala and the best attraction in the place too. The three beaches; the Lighthouse beach, the middle Hawah beach and the Samudra beach, in the place make it a beautiful tourist destination throughout the year. The lighthouse situated in the Lighthouse beach is adds to the serene beauty of the place. Just like any tourist destination, Kovalam too has Ayurvedic massage centers and Yoga classes ready for the visitors. 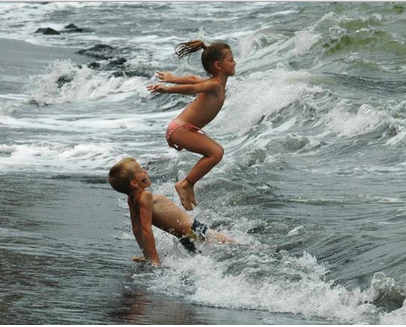 Indulge in such activities in the health centers situated near the coastal lines. Kovalam is situated 16km away from the capital of the state, Thiruvananthapuram. How to Reach Kovalam: Thiruvananthapuram Airport is just 15km away from Kovalam. There are bus services and taxis connecting major the airport to Kovalam. Thiruvananthapuram railway station is also situated very close to the Kovalam. The Kashmir of South is also ready to welcome tourists during monsoon season with the splendid hill stations the place has. The lush greenery that gets boosted up during the monsoon season offers you a best experience during monsoon. Mountain streams and water falls that run through the hill is a spectacular experience to your eyes. Attukkal water falls, Mattupetty dam and trekking are other add-ons you can try during a visit to Munnar during monsoon. Trekking through the scenic beauty will be bit risky if the monsoon is heavy. Cardamom and coffee plantation in these hill stations will make your eyes wonder. How to Reach Munnar: Cochin International Airport in Kochi is the nearest airport. It is around 110 km away from the tourist spot. Bus and taxi services are available to Munnar from Kochi. The nearest railways station; Aluva railway station is also located at 110km away from Munnar. Bus and taxi services are available from Aluva to Munnar. Bus services are also provided by KSRC from the nearest key locations like Kochi, Alappuzha, Thiruvananthapuram etc. Pack your bags and enjoy the great time waiting for you in those hill stations, beaches and backwaters situated at the southernmost part of the country. It will be a different experience, but definitely a memorable one. Come and feel the magic of Kerala. God's own country is waiting for you.